Copyright: The copyright in all images submitted to the awards will remain with the entrant who will be credited. Each entrant grants to the Owners a non-exclusive irrevocable licence to reproduce, publish, and communicate to the public by any means and exhibit their image and copies of their image in all media throughout the world in relation to the awards and the exhibition and no other purpose. Category winners will receive a prestigious trophy and voucher for camera equipment. Winners of the three Young category age-groups will receive £100 each. Shortlisted images will be exhibited at the Mall Galleries, London in April 2013. 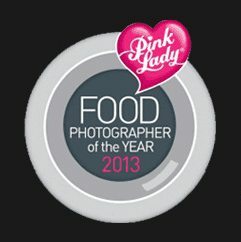 The judging of the shortlisted entries will take place in March 2013, and the winners notified in April 2013. Image requirements: JPG format; no more than 800 pixels on the longest side. Shortlisted entrants must be able to supply a high resolution file, suitable for printing in all media and for inclusion in the Exhibition. These images should have a file size of at least 5mb.